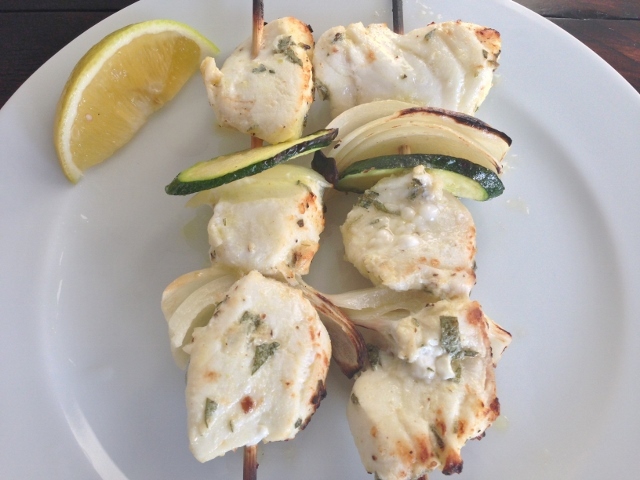 Easy Marinated Halibut Skewers - Recipe! - Live. Love. Laugh. Food. 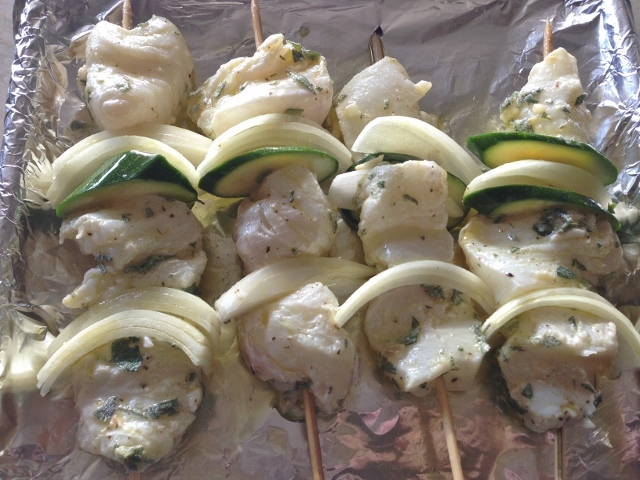 Easy Marinated Halibut Skewers – Recipe! 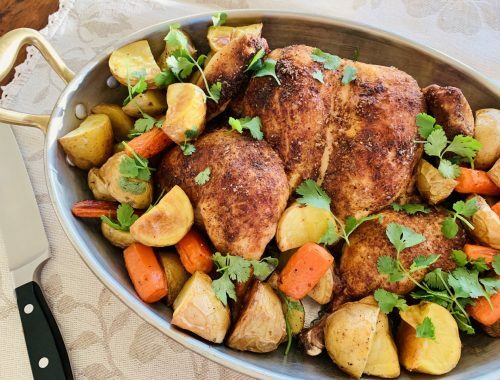 Easy dinners are essential during the week and this recipe sure fits the bill. 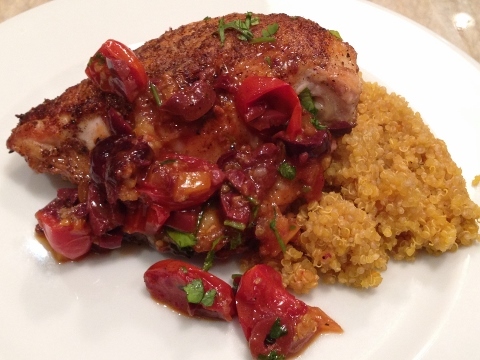 You can make this dinner in 20 minutes flat and you won’t skip on freshness or flavor. 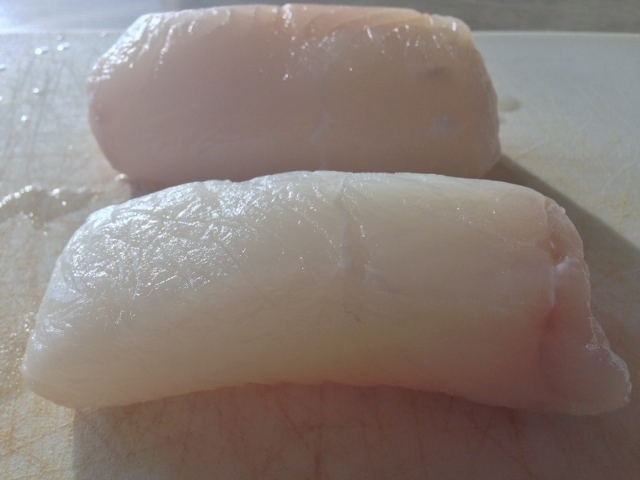 Halibut is a mild white fish that even the fussiest of eaters seem to enjoy. 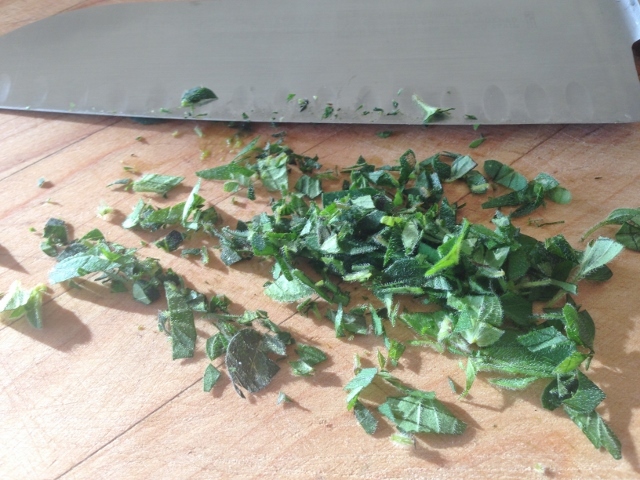 A quick marinade adds a citrus perk to the halibut along with a little seasoning from the fresh herbs. 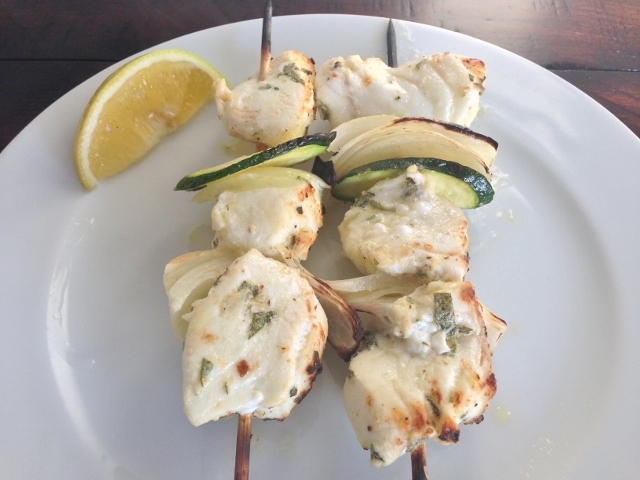 I like to serve these skewers as an entree or lighter meal, but you could serve them as an appetizer for a party. 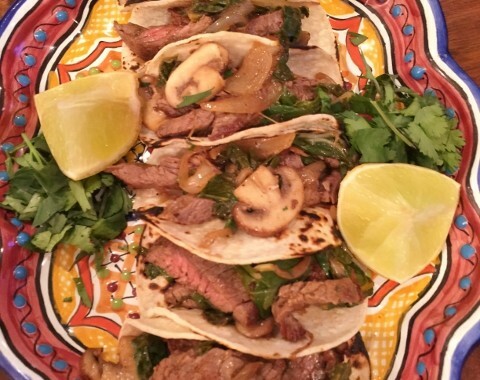 I find this recipe quite delightful and I hope you do too. 1. 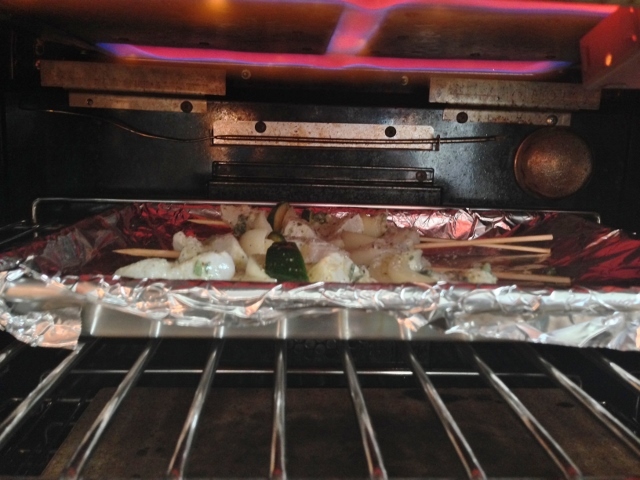 Turn your oven on to broil and place your wooden skewers in water on a small sheet pan. 2. 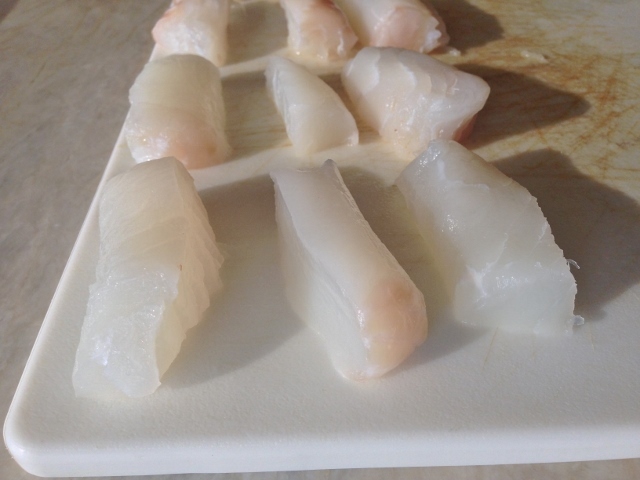 Then, clean and pat dry your halibut fillets and cut each fillet into pieces. 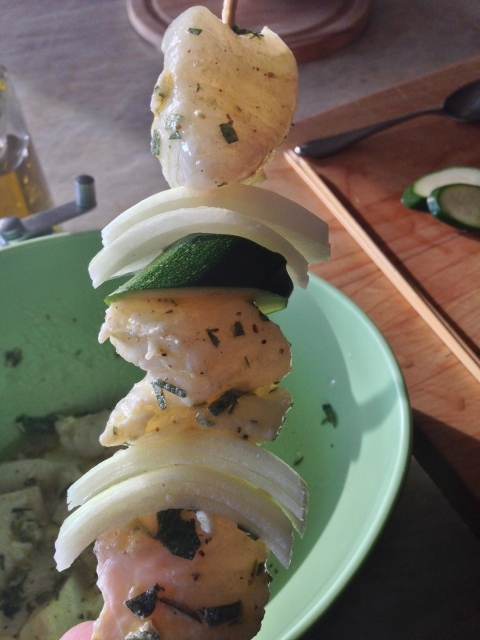 You want to make sure each skewer has 3 pieces of fish. 3. 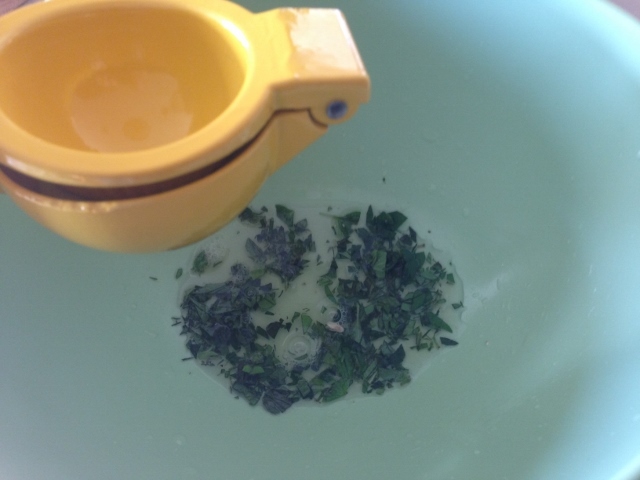 To prepare the marinade, rough chop the oregano and add it to a bowl along with juice from 1/2 a lemon. 4. 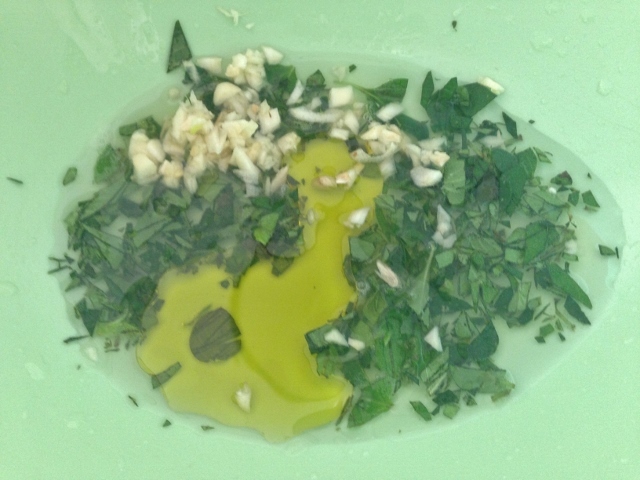 Next, mince the clove of garlic and add it to the bowl along with 1/4 cup of olive oil. Stir the mixture together to combine. 5. 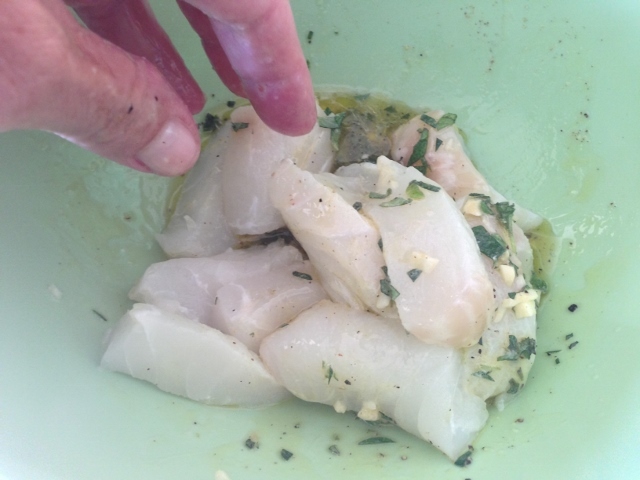 Add the halibut pieces to the bowl and toss to coat each piece. Let the fish sit in the marinade for 10 minutes. 6. 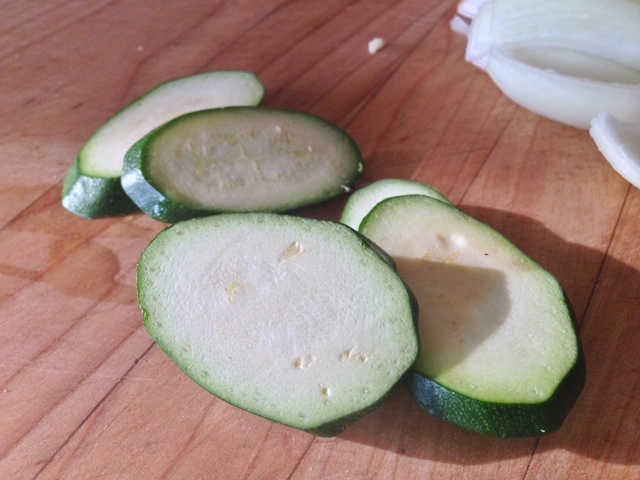 Cut up the onion into large wedges and slice the zucchini 1/2 inch thick. 7. Drain the water from the sheet pan and remove the skewers. 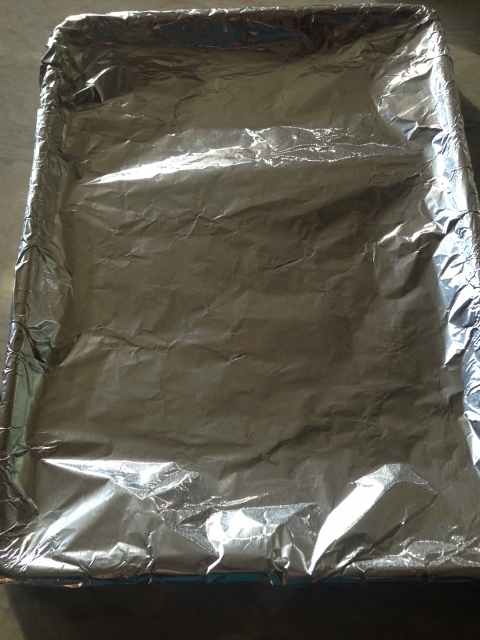 Dry the sheet pan and cover it with foil. 8. 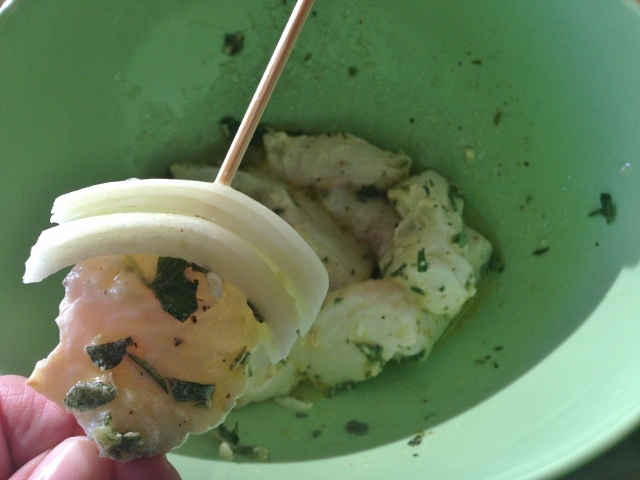 Start to layer your skewers with a piece of halibut, followed by a couple of onion pieces. 9. 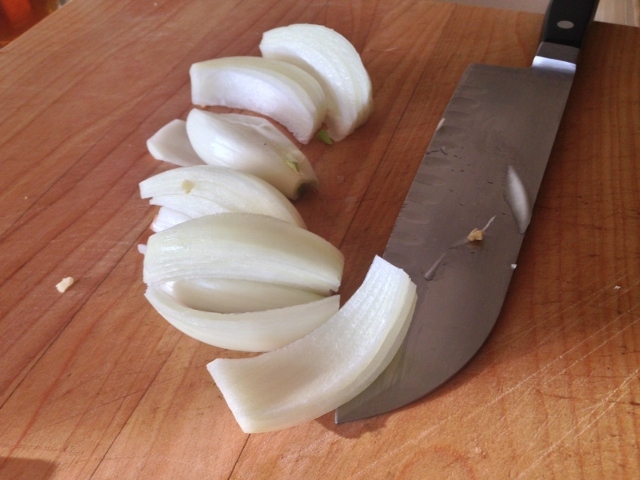 I like to continue with more halibut and onion, then a piece of zucchini in the middle for contrast and continue with more fish and onion. You can layer them any way you want, just be sure to include 3 pieces of fish on each skewer if you are making them for an entree. 10. Drizzle 2 tablespoons of olive oil on the foil lined sheet pan and place all your skewers on top of the oil. Drizzle a little more oil on top of the onion and zucchini pieces and sprinkle the skewers with salt and pepper. 11. Place the sheet pan with skewers under the broiler to cook for 5 minutes. 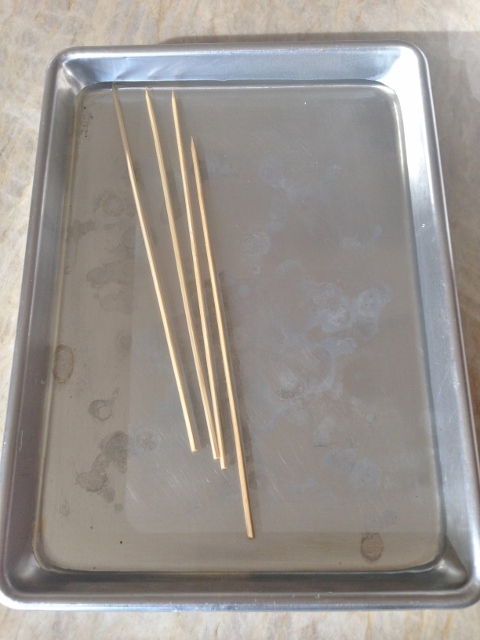 If the skewers start to burn too much, lay a piece of foil over the end of the skewers to cover. 12. Flip the skewers over after 5 minutes and cook on the other side for 3 minutes. Remove the skewers from the oven and serve with a slice of lemon. Enjoy!